Talks on renewable energy policy in Europe reached un unexpected breakthrough early this morning after negotiators from the European Parliament and EU member states were able to reach a compromise on a 32% objective and a complete phase out of palm oil use in transport by 2030. Talks carried on until early into the morning hours, despite the fact that negotiators were left with no interpreters after midnight. 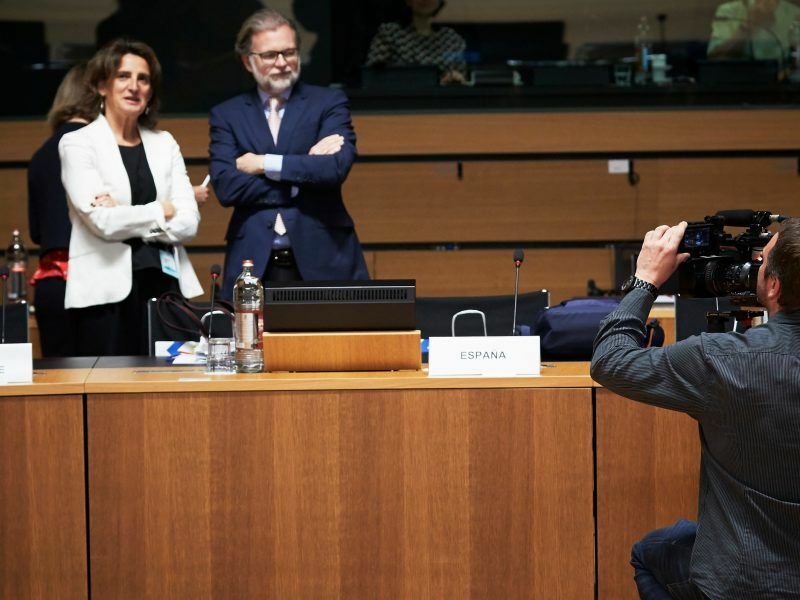 The deal on the Renewable Energy Directive finally came at around 04:30, according to Sean Kelly, one of the lawmakers sitting on the Parliament team, who tweeted a picture of ecstatic MEPs posing with Miguel Arias Cañete, the EU’s climate and energy commissioner who was acting as a mediator in the talks. 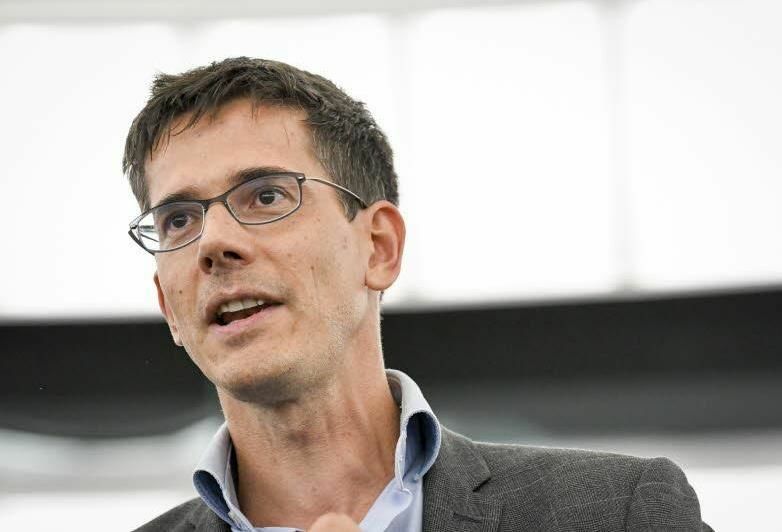 The deal includes a legally-binding EU-wide target of 32% for renewable energy by 2030, with “an upward review clause by 2023 at the latest,” according to Claude Turmes, a Luxembourg MEP who represented the Greens political group in the Parliament’s team. Germany had clearly stated at a ministerial meeting last Monday that “it wouldn’t support a target above 32%,” Turmes explained after the talks concluded this morning, saying this left no room for negotiators to go higher. That came as a relative disappointment for environmental activists at Greenpeace who said the 32% target “is far too low” and “falls dangerously short of the level necessary to prevent catastrophic climate change”. One key aspect of the agreement is a target for renewable energy in transport, which was eventually set at 14% by 2030 – a move seen as a way to encourage the take up of electric vehicles. That is likely to anger Malaysia and Indonesia, the world’s two biggest producers of palm oil, which have threatened of trade retaliation measures in case a ban is agreed. Another hotly debated point in the talks related to renewable energy “self-consumption”, a term which mainly covers solar panels mounted on rooftops of homes and small factories. Installations of 25 kilowatts will be exempted from certain grid obligations, a move likely to please advocates of small-scale renewables, and the solar PV industry. The agreement between the European Parliament and EU governments establishes the right of European citizens, local authorities, small businesses and cooperatives to produce, consume, store and sell their own renewable energy, without being subject to punitive taxes or excessive red tape, said Greenpeace. “This deal, for the first time, recognises the rights of ordinary people to participate in Europe’s energy revolution and overturns some very big barriers to the fight against climate change,” said Sebastian Mang, an EU policy advisor at Greenpeace. “It gives people and communities greater control over their energy use, empowering them to accelerate the development of renewable energy and challenge energy giants across the continent,” he said. REScoop.eu, an association representing renewable energy cooperatives, was equally pleased. “This is a remarkable day for energy communities and citizens across Europe,” said Dirk Vansintjan, President of REScoop.eu. “Up until yesterday they had no recognition in Europe’s energy policy. Now, they have a set of rights tools to empower themselves so that they can prosper in the energy transition,” Vansintjan said. The new EU directive “now contains a strong definition of ‘renewable energy communities’ as well as a definition of ‘self-consumption’,” REScoop.eu explained, praising the European Parliament for sending “a clear signal” that citizens and communities are key to the success of the energy transition. 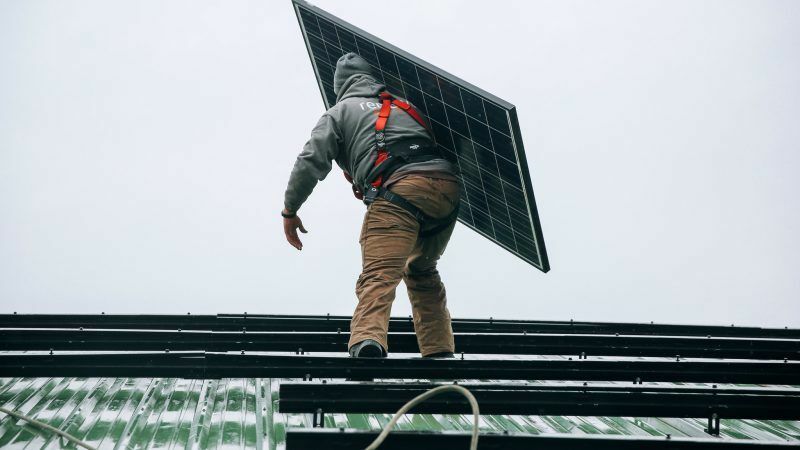 The deal includes the creation of contact points to advise and support people interested in installing solar panels, a barrier until now because of the sometimes complicated procedures in place. The EU has also agreed to remove all charges on electricity produced by households that is consumed on premises, meaning ’taxes on the sun’, as it has come to be called in Spain, would be impossible. “The installation costs might still be quite large for some people, but renewable energy does pay off in the long term and this EU text will help people navigate through the process,” said Monique Goyens, Director General of the European Consumer Organisation (BEUC). The negotiation on the Renewable Energy Directive got off on the wrong foot after separate talks on the Energy Efficiency Directive collapsed earlier in the evening, at 6pm. The key disagreement there was over the headline target. The European Parliament said they were not willing to go below a 32.5% target for energy savings by 2030, along with a 0.84% annual savings. But Bulgaria, which currently holds the rotating Presidency of the Council, felt it did not have a mandate to go that high. There has been confusion over how flexible Bulgaria’s mandate is since an Energy Council in Luxembourg on Monday revealed changed positions from new governments in Spain and Italy, which backed higher ambition on renewables and energy efficiency. What remains unclear at this point is whether Bulgaria will try to revive talks before the end of its rotating EU presidency on 1 July, or if it will hand over the file to Austria, which takes over the rotating presidency on that day. But Turmes said there was now a chance of seeing an agreement on the Energy Efficiency Directive at an ambassador’s meeting on Friday, before a final round of trilogue talks on Tuesday. "The deal is a good one for solar. We see a much more ambitious target than was expected just a few months ago and importantly we have a strong framework for self-consumption and prosumers. Households wake up this morning with the knowledge that they will have a new right - the right to self-generate, consume and store the energy they produce. This is a major achievement. We are also delighted to see that administrative procedures will be streamlined so that permitting for new installations can take no more than 1 year - this will hugely reduce the soft costs of solar." "EU decision-makers have agreed a paltry 32% target for renewable energy that is both inadequate and shows a failure to grasp a shifting energy landscape including rapidly falling renewables costs." "However, communities have won a key concession, gaining recognition for their right to generate, consume and sell energy – this gives people an opportunity to drive a transformation of our energy system, surpassing the bleak expectations of these targets." “The outcome on renewables is a well-balanced compromise between Council and Parliament. The higher shares of renewable energy must be combined with a more sound approach to market-based integration and electrification”. "With the deal reached on the RED II, the EU will create the framework needed to boost decentralised energy by removing the administrative burdens that were blocking their uptake. By breaking down this administrative wall, the EU will kickstart the self-consumption and community energy revolution, as it will make renewable energy more accessible and economically attractive for consumers. A consumer-driven energy transition is a central pillar of the Energy Union’s mandate, and we are thrilled to see that with the RED II, a strong foundation for this is being built." The 25kW exemption for homes and (small) factories is pathetic. Let’s say I run a factory and make energy savings of 30kW. There is no legislature in Europe that would then say: Ok you saved XkWh but you must still pay taxes etc on that XkWh. If you decide to put PV on the roof (and do not claim any subsidy) – what then is the difference between generating energy & saving energy? From the point of view of a network operator there is no difference – they can see no difference between behind the meter generation (which does not export) and behind the meter energy savings – & this applies to any size kW-class or MW-class. Other comment: DNOs and TSOs want to extend their control into homes, offices & factories. Doing this provides justification for investment in that well know fantasy: “Smart Grids” – they get suckers (= citizens) to pay for nice new shiny kit – regardless as to whether the shiny kit is needed – or not. Last word: 32% was, I guess, the best that could be hoped for wrt a deal. The meber states as usual see everything as a zero sum game. 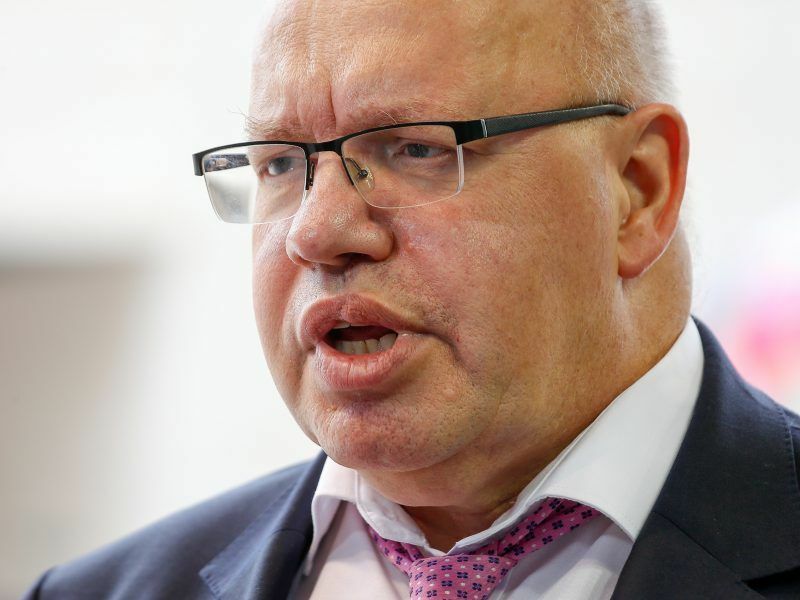 I also wonder where Der Dikke got his “Germany will not support more than 32%” – I doubt if fatso will ever tell us. Banning palm oil will surely put millions of farmers and their families in Indonesia and Malaysia back to poverty. How about soy bean? Soy bean farming and planting activities have much greater effect to world deforestation than palm oil. People from advanced economy can easily and ignorantly say to ban palm oil, while they have been for over 150 years enjoying many economic and life benefits and improvements by using dirty energy (coal, fossil fuels, etc) in their industries and economic activities.